"Human rights and environmental protection cannot be subordinated to narrow business interests." Altamira, Brazil – A high-level court yesterday suspended construction of the controversial Belo Monte dam project on the Amazon's Xingu River, citing overwhelming evidence that indigenous people had not been properly consulted prior to government approval of the project. A group of judges from Brazil's Regional Federal Tribunal (TRF1) upheld an earlier decision that declared the Brazilian Congress's authorization of the project in 2005 to be illegal. The decision concludes that the Brazilian Constitution and ILO Convention 169, to which Brazil is party, require that Congress can only authorize the use of water resources for hydroelectric projects after an independent assessment of environmental impacts and subsequent consultations with affected indigenous peoples. 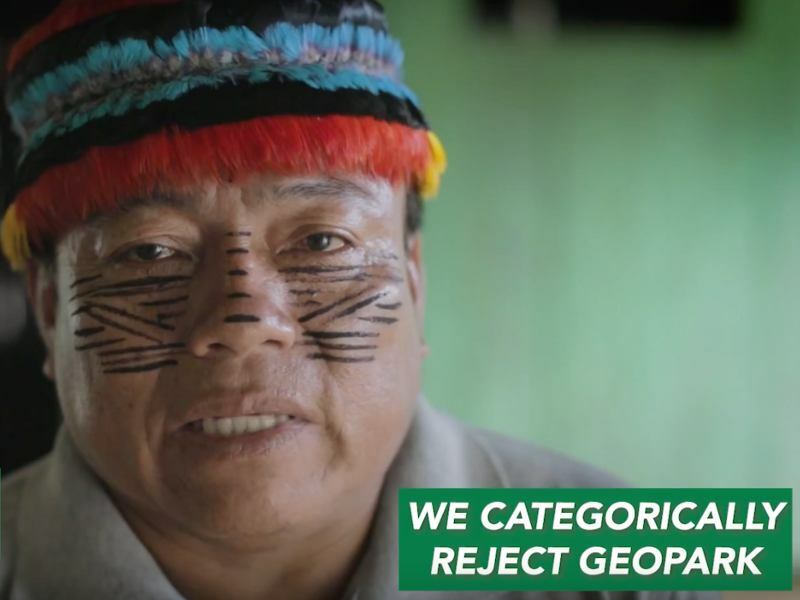 The ruling means that Brazilian Congress will have to correct its previous error by organizing consultations on the project's impacts with affected indigenous peoples of the Xingu River, especially the Juruna, Arara and Xikrin tribes. Their opinions should be considered in a Congressional decision on whether to authorize Belo Monte, and in the meantime the project consortium has been ordered to suspend construction. Project consortium Norte Energia, S.A, led by the parastatal energy company Eletrobras, faces a daily fine of R$500,000, or about US$250,000, if it does not comply with the suspension. The dam consortium is expected to appeal the decision in the Brazilian Supreme Court. "The court's decision highlights the urgent need for the Brazilian government and Congress to respect the federal constitution and international agreements on prior consultations with indigenous peoples regarding projects that put their livelihoods and territories at risk. 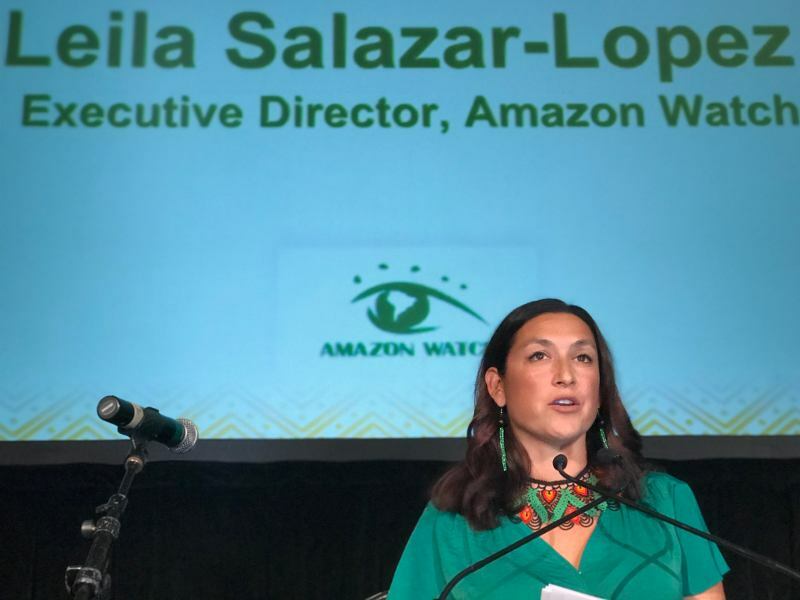 Human rights and environmental protection cannot be subordinated to narrow business interests," stated Federal Judge Souza Prudente, who authored the ruling. "This latest court ruling vindicates what indigenous people, human rights activists and the Federal Public Prosecutor's Office have been demanding all along. We hope that President Dilma's Attorney General and the head judge of the federal court (TRF1) will not try to subvert this important decision, as they have done in similar situations in the past," said Brent Millikan of International Rivers, based in Brasilia. "This decision reinforces the request made by the Inter-American Commission on Human Rights in April 2011 to suspend the project due to lack of consultations with indigenous communities. 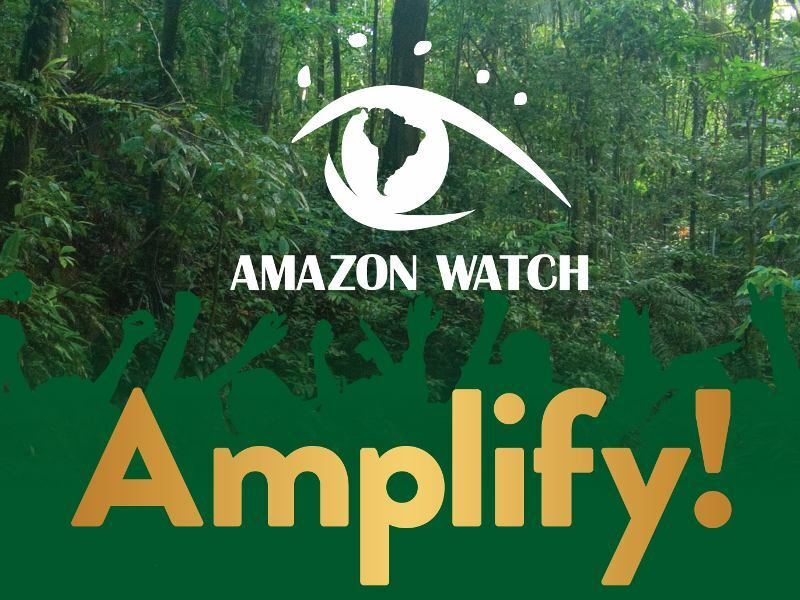 We hope that Norte Energia and the government comply with this decision and respect the rights of indigenous communities," said Joelson Cavalcante of the Interamerican Association for Environmental Defense (AIDA), an organization giving legal support to affected communities. The Brazilian Congress authorized construction of Belo Monte seven years ago without an environmental impact assessment (EIA). A subsequent study - produced by state-owned energy company Eletrobras and three of Brazil's largest construction companies (Camargo Correa, Andrade Gutierrez, and Odebrecht) - was widely criticized for underestimating socio-environmental impacts, especially on indigenous peoples and other traditional communities living downstream from the huge dam that would divert 80% of the Xingu's natural flow. The EIA was approved by Brazil's federal environmental agency (IBAMA) in February 2010 under intense political pressure and over the objections of the agency's own technical staff. With dam construction racing ahead since June 2011, many of Belo Monte's forewarned social and environmental consequences are proving real. 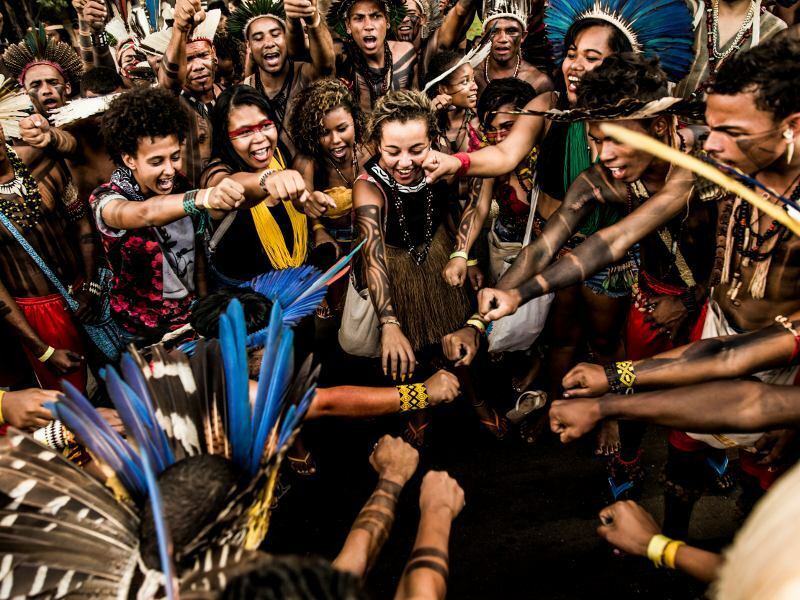 As a result, indigenous people have become more vocal in their opposition to Belo Monte. 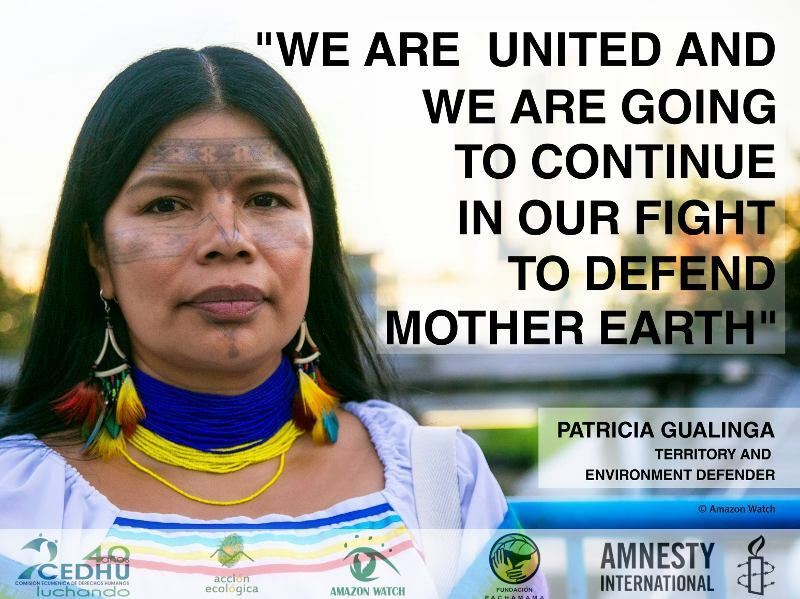 During the United Nations' Rio+20 conference in June, indigenous leaders launched a 21- day occupation of the dam site, protesting against the growing impacts of the project and broken promises by dam-builders. Two weeks later, indigenous communities detained three Norte Energia engineers on tribal lands. Both protests demanded suspension of the project due to non-compliance of mitigation requirementes. 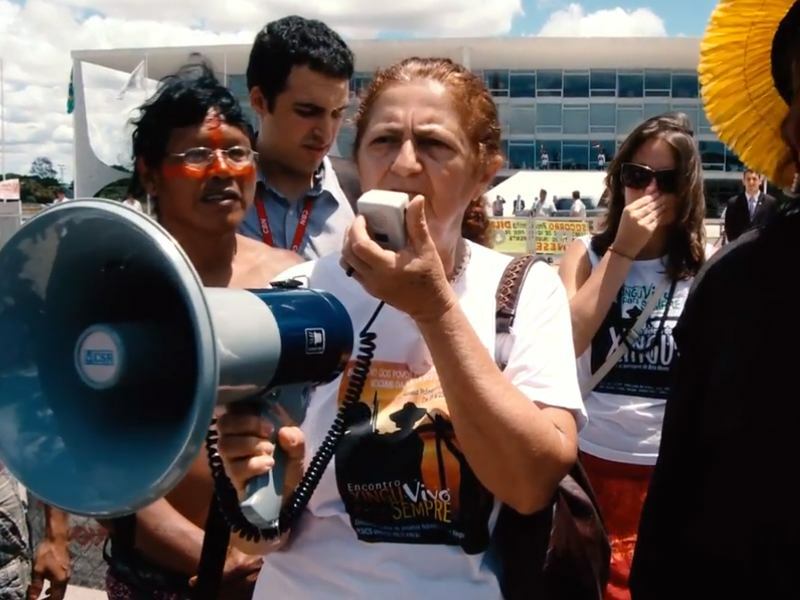 Last month, the Federal Public Prosecutors' Office filed a lawsuit calling for suspension of the Belo Monte's installation license, given widespread non-compliance with conditions of the project's environmental licenses. Given this contentious and convoluted history, the long overdue process of consultations with indigenous peoples on Belo Monte is not likely to produce a positive verdict on Belo Monte, from the point of view of indigenous peoples. According to Souza Prudente, "the aggression against indigenous peoples in the case of the Teles Pires dam has been even more violent than in Belo Monte. A political decision to proceed with the construction of five large dams along the Teles Pires river was made by the Ministry of Mines and Energy with no effective analysis of impacts on the livelihoods and territories of indigenous peoples. The Sete Quedas rapids on the Teles Pires river are considered sacred by indigenous peoples and are vital for the reproduction of fish that are a staple of their diets. Yet none of this was taken into account in the basin inventory and environmental impact studies. Moreover, the government and Congress simply ignored their obligations to ensure prior and informed consultations with indigenous peoples, as determined by the Federal Constitution and ILO Convention 169." Late yesterday, the President of the TRF1 announced his intention to overturn the decision of Souza Prudente and other federal judges regarding the Teles Pires hydroproject, marking a growing crisis within Brazil's judiciary system over the Dilma Rousseff administration's ambitious dam-building plans in the Amazon.